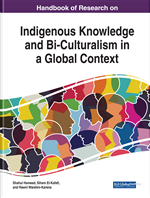 This chapter supports Māori practitioners, counsellors, educators, and social service providers to unpack societal issues that underpin sociological theories applied to Māori in mainstream New Zealand. It employs an indigenous model, specifically created from a traditional mātauranga Māori base for examining contributing factors not always evident in Western socially constructed systems that scrutinize Māori. The rationale for developing an indigenous model from a traditional mātauranga Māori perspective allows for a critique and analysis of Western ideologies through a Māori lens. This enables Māori practitioners, counsellors, educators, and social service providers space to articulate underlying themes and intergenerational links to Māori deficit statistics that Western socially constructed systems do not take into account. This paper will commence by identifying; defining and discussing a new Māori cultural counselling concept called Pūtaketanga. The second aspect of the paper will discuss the development of the counselling concept, as well as historical catalysts that led to its development. The third aspect of the paper will discuss Māori theorists, and theoretical underpinnings that contribute to the Pūtaketanga model. The fourth aspect of the paper will discuss key components of the model. The fifth aspect will discuss how the Pūtaketanga model responds to Māori crime. The final aspect of the paper will discuss strengths and limitations of the Pūtaketanga model. The Pūtaketanga model is a process created to unpack underlying themes behind Māori deficit statistics. The concept was initially constructed to bring to the fore contributing factors that are not necessarily visible to Western dominant discourses that socially construct the accepted norms, values, and practices of New Zealand society. The Pūtaketanga model is defined through a Māori lens, as its approach stems from a Māori worldview. The Māori worldview brings to the fore traditional ideas applied to contemporary concepts based on mātauranga Māori knowledge. Wiri (2013) establishes that there are five verbal forms of mātauranga Māori which include: kōrero (oral narratives); whakapapa (genealogy), waiata (songs), whakataukī (proverbial sayings) and kupu whakāri (prophetic sayings) (p.1). Mātauranga Māori as it applies to the Pūtaketanga model encapsulates whakapapa and pūrākau that draw attention to Māori traditions, values, customs and protocols. Lee (2005) states that; “Pūrākau theory is one form of Māori narratives that originates from oral literature traditions. Other narrative forms include moteatea (traditional song), whakapapa (genealogy) whaikōrero (speech making) and whakatauki (proverbs) each with their own categories, style, complex patterns and characteristics” (p.7). The notion of whakapapa and pūrākau are fundamental for establishing and maintaining Māori cultural identity. The most evident definition of Pūtaketanga can be taken from its name. The word Pū in Māori refers to the word origin, and the word take in Māori refers to the word issue. The word tanga suggests applying the idea of tracking an issue back to its origin. Several underlying features of the concept include examining Māori deficit statistics through a Māori lens and then tracking the origin of particular Māori deficit statistic back to its source, and then highlight contributing factors that also link to Māori deficit statistics. The Pūtaketanga concept emerged after the completion of a PhD thesis in 2013 from Te Whare Wānanga o Awanuiārangi titled Transforming Māori experiences of historical intergenerational trauma. An overview of the PhD thesis examined the history of colonisation and its intergenerational impact around the indigenous world. The thesis then examined Māori history before and post colonisation alongside Te Tiriti o Waitangi 1840 and legislative policies that had devastating impacts for Māori across generations. Those devastating impacts included loss of cultural identity, language, land, wealth and heritage. There were several themes that emerged from the research that drew attention to how Māori grow up in the face of their histories, yet as a result of colonisation are born into environments socially constructed by dominant discourses of the settler society. The Pūrākau model by D.r Jacquelyn Elkington with its ability to layer stories one on top of the other and Pūrākau theory as a rationale for a Māori approach by D.r Jenny Lee were essential elements for the PhD that contributed to research methodologies as well as perform a significant key role in the development of the Pūtaketanga model.